Lawyer Raymond Nesbitt gives us an overview of the urban rental law in Spain (or LAU as it is known in Spanish) which is applied nationwide. This law rules on long term tenancy agreements, amongst other rental types. Contact our law firm to review your lease agreement for a very competitive fee. Article copyrighted © 2016. Plagiarism will be criminally prosecuted. The importance of the LAU (Spain’s Tenancy Act) cannot be understated as it constitutes the backbone of most tenancy agreements in Spain. It should be noted I have greatly simplified the LAU for ease of comprehension but in truth its intricacies and nuances are far more complex than I care to explain. It is highly advisable that readers interested on the matter browse the section below on ‘related articles’ (at the end of this article) which are focus-specific and deal with tenant evictions for example. To better understand its latest incarnation from 1994 it becomes necessary that I digress with a brief historic recap that helps to explain how we got here in the first place. EDIT: 4th March 2019. Following new rental laws, some aspects of this article have changed significantly. i.e. the duration periods for long-term rentals. Post-civil war Spain suffered from a chronic housing shortage. At the time families were large and needed all the protection they could muster from Authorities. This strong bias towards the protection of tenant rights became so deeply embedded in the psyche of lawmakers that it pervades all rental laws even to this very day. • Rental law of 1.964 (texto refundido). • Decreto Boyer of 1.985. • Rental law 29/1994 of 29th of November – Spain´s Tenancy Act (often abbreviated to LAU in Spanish). • Law 4/2013, of 4th of June which significantly amends the LAU of 1.994. More on these changes in my in-depth article New Measures to Bolster Spain’s Ailing Rental Market. 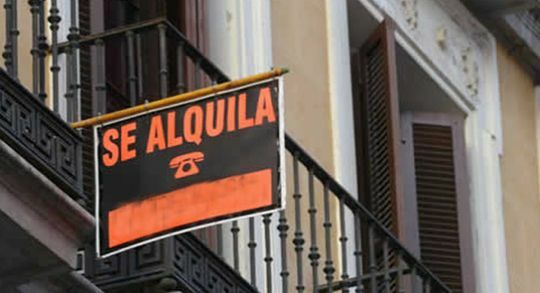 The law from 1.964 created some obscene anomalies called ‘alquileres de renta antigua’ which basically forced landlords to keep renting out to tenants during their whole lifetime at a mandatory fee which in some cases was shockingly ten times below the market price (sic) in prime locations in Madrid, Barcelona and elsewhere. Even worse, the widow and/or children could ‘inherit’ the tenant’s position and also be entitled to a ridiculously low-priced rental for the remainder of their lives. This created perverse surreal situations that would even make Kafka blush. Needless to say this was hugely detrimental to the interests of landlords which were afraid to rent out. As newer rental laws were passed this tenant bias has been gradually watered down to within ‘reasonable’ limits more in line with the today´s market reality. The law which is currently in force is the LAU from 1.994 with the amendments brought about in 2.013. It is this law that I will be analysing point by point going forward. This law still holds a pro-tenant whiff albeit to a much lesser extent than its predecessors. Urban rental laws are ruled by both the Civil Code (articles 1.542 et seq.) and by the LAU of 1.994. The Civil Code acts only in a subsidiary manner on what is not expressly ruled by the LAU which has pre-eminence. The LAU deals with both long term and short-term rentals, among other rental types (i.e. commercial lets as well). As a general rule, long term rentals are very regulated and tenants are very protected having a number of rights and entitlements. There is a clearly a pro-tenant bias as outlined in the historic recap section above. Lawmakers are drawn to protect the weak party, the tenant. Arrendamientos para uso distinto del de vivienda (which includes the subclass known as ‘seasonal lets’) on the other hand have a much greater degree of flexibility and freedom to negotiate the tenancy´s clauses without being constrained by rules. This is because lawmakers regard both parties as equals and therefor leave to them to rule on their contractual relation exercising a minimum degree of intervention. The afore goes on to explain why some landlords try to pass off long term rentals as if they were short-term rentals to circumvent all long term tenant´s rights. This seldom works out in practice and when the tenancy agreement is challenged at court it is labelled as a long term rental. More on this in a section below on the eleven-month contract myth. There are several excluded property types from the LAU. The only one I’m going to mention are luxury rentals. Luxury rentals are excluded from being ruled by the LAU and are not subject to all I write below. Luxury rentals are governed by their own clauses. A luxury rental is defined as a property over 300 m² or which monthly rental exceeds 5.5. times Spain’s minimum wage. We have to distinguish whether a dwelling is used, or not, as permanent abode. By law, the deposit is one-month´s rental and paid in cash. The parties are NOT free to negotiate a higher deposit. Demanding a two-month deposit, for example, is null and void. Normally in Spain´s 17 regions this deposit is paid into an escrow account that is safeguarded by the Administration to ensure tenants recover their deposit (less any damages). For example, in the region of Andalusia you need to comply and submit model 806. Additionally, the Administration is legally compelled to refund a tenant his rental deposit (less damages) within one month after the tenancy agreement is terminated. If it takes longer delay interests accrue which currently are significantly higher than what you can expect from a high street lender. In practice, largely due to ignorance, rental deposits are paid by tenants to landlords (not to third parties such as public Administrations) which may create serious issues down the line when the tenancy agreement is terminated and the tenant exercises his right to recover his deposit as some landlords are notoriously reluctant to refund them unless legal action is taken against them. E.g. commercial premises, or a dwelling which purpose is not to be used as a permanent abode i.e. seasonal contract. The law states it will be a minimum of a two-month deposit. The parties are free however to increase the amount. As stated in the article´s introduction even today´s most recent rental law incarnation is somewhat pro-tenant. Specifically article 6 states that any agreement made contrary to Title II of the LAU will be null and void. A tenant does not lose his legal position even if he stops living in the property, as long as he is not legally separated or divorced, and his spouse and or his underage children still continue living in it, he will still be regarded for all intents and purpose as a tenant. This takes place when the tenant cedes his legal position in the contract to a third party who becomes the new tenant. It is only possible with the written authorisation of the landlord. Landlords can word a tenancy agreement to forbid leases. This takes place when the tenant in turn sublets rooms or section of the house to third parties. Only partial sublets are allowed, not whole. The landlord must give his prior consent in writing. The sublet must always be for a rental inferior to the main one. Subletters are not entitled to the mandatory or tacit contract renewals explained below, only tenants. A landlord can however word into the tenancy agreement to forbid sublets. For tenancy agreements signed after the 5th of June 2.013 the following rules apply. Tenancy agreements signed before said date have a different set of rules which can be very convoluted. If no period is specified it is over understood the rental will be for one year. A long term rental is not defined by renting to the same individual for a period of time equal or greater than12 months. This is a common blunder. A two-month rental can be for example regarded as long term by a judge. What matters is not the duration of a rental but the purpose which is given to a property. If the property is used as a permanent abode then it is regarded as a long term rental irrespective of whether a rental lasts 3 years, one year or six months. a. Mandatory renewal: Landlords are legally compelled to renew the rental for annual periods up to three years (before 2.013 it was five years). Tenants, at their own discretion, may opt on whether they choose to renew or not for a further year (up to a total of three years). In other words, landlords are at the expense of a tenant´s whim on whether he wants to stay in the property for a total of 3 years, landlords have no say. Tenants must notify their landlords with at least 30 (natural) days of their intention to renew their contracts for a further 12 months. Landlord notifies his tenant with two months’ notice he needs the property for himself or else for a first degree relative as a result of separation, divorce or marriage nullity declared by a legal ruling. If a landlord does not occupy the property himself or else a relative of his, the now ex-tenant is entitled at his choice to either compensation or else to return to his former home (costs of moving will be borne by the landlord). b. Tacit renewal (silent renewal): if after three years of rental none of the parties notifies the other giving at least 30 days’ notice then the rental is renewed for a further year (totaling four years). A tenant can legally opt out of the tenancy providing more than six months have elapsed since the contract came into force giving his landlord at least 30 days’ notice. The parties are free to negotiate a compensation to the landlord in such a case on the lost rental. Notwithstanding the spouse or partner of the tenant may opt to remain in the property in which case they must notify the landlord up to 30 days after the tenant leaves the property. The wife will continue to pay the rental in exactly the same conditions as before. There is freedom to negotiate on its terms. If nothing is agreed, it will be monthly (a landlord cannot request more than one month´s payment ahead) during the first seven days of every month. A landlord must give his tenant an invoice for every month´s rental – this is mandatory – unless payment is agreed, for example, by bank transfer in which case there is more than enough prove of payment. The rental will be updated yearly according to a mutually accepted financial benchmark such as the IPC (Spanish Consumer Price Index) which offsets the effects of inflation bringing it in line with today´s values. This indicator is currently negative. If a landlord carries out refurbishment works that constitute an objective improvement of the property, i.e. installs a Jacuzzi, then he is entitled to increase the rental. As a general rule, all expenses subject of an individualised consumption meter reading (gas, water, electricity etc.) are borne by a tenant. Normally a landlord is responsible for paying IBI tax (akin to the UKs Council tax) and the community fees. But it can be agreed otherwise if both parties accept. It is the landlord´s responsibility to pay for these. If these extend more than 20 days the tenant is entitled to a reduction in the rental in proportion to the surface he can no longer use as a result of the ongoing works. If a damage is due to normal wear and tear, i.e. leaking faucet or faulty washing machine, then it is the tenant who must pay for it. It is presumed that all household goods and kitchen appliances are handed over in perfect working order at the start of a rental. The onus to prove otherwise falls on a tenant. Articles 1.562 – 1.564 SCC. Which is why it is highly advisable a tenant carries out a thorough check of all the house (snagging list pointing out any flaws or deficiencies) prior to taking possession of the property. A tenant can categorically not withhold rental money as a result of, for example, a faulty household appliance or defective pool lights or engine. More on this in my article Renting in Spain: Top Ten Mistakes. Tenants have a series of rights that landlords must respect when it comes to selling the property. These rights can be enforced at a law court (and frequently are). i) Tanteo (pre-emption right): the landlord who wishes to sell on a property is legally bound to notify his tenant of the sales price and other key sales conditions. The tenant has up to thirty days to notify his landlord on whether he wants to exercise his right of buying the property with these same conditions. If he is interested in buying it outright, a tenant is first in line and has priority to jump over any other buyer. ii) Retracto (buyout right): if the landlord failed to notify the tenant of his intention to sell on the property the tenant can file a law suit once the new buyer notifies him of the sale. The tenant will have thirty days as from the time the new owner notifies him to exercise his right to occupy the property. The tenant will need to come up with the money to buy the property in that period and lodge it before a law court. Both landlord and tenant may agree that a tenant relinquishes his two rights. This is frequently agreed and built into tenancy agreements. Needless to say, this only benefits the landlord, not the tenant. Long term tenants are advised to lodge their long term tenancy agreements at the Land Registry for their own protection against third parties i.e. landlord defaults his mortgage and falls into arrears. His lender executes the contract and attempts to repossess the property. A tenant´s position is stronger if his tenancy agreement was already lodged at the Land Registry. 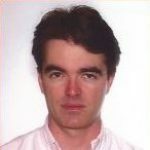 He can in fact negotiate with the lender to leave ahead of the rental´s expiry date in exchange of a suitable compensation for his aggravation. Either party can denounce the tenancy agreement for breach of contract based on art. 1.124 of the SCC. • Damages caused to the property ex profeso or non-consensual works carried out. • Activities which are deemed bothersome, unhealthy, hazardous or illegal. • The dwelling ceases to be a permanent abode and is used for other purposes. • The landlord fails to carry out the necessary maintenance or repair work to which he is obliged. • The disruption in the use of the dwelling caused by a landlord by way law or fact. Broadly these refer to renting out a property to someone who is not going to use it as his permanent abode or residence. Lawmakers understand that both parties are in equal rights. For this reason, they do not believe that one of them is in need to be ‘tutored’ by way of laws; think of a businessman who rents out a commercial premise. The law doesn´t think that a tenant, who is a professional, is in a weak position and therefor is in no need of protection. This translates into almost total freedom between the parties to adopt the clauses they think are best to rule on their contractual obligations so long as they do not oppose the laws, the morality or public order. Whilst the general practice is a two-month deposit for commercial premises (as per law) I stress there is leeway to negotiate, particularly on high-end commercial lets. For example, a beachfront pad located in a prime location such as Puerto Banus (Marbella) could set you back 12 months. Particularly if you are a non-resident tenant with no ties to Spain, a landlord will ask for more cast-iron financial guarantees (to hedge himself) as you may be perceived as a risky option. In such cases the parties will be subject in first place to what they have contractually agreed, to the LAU in what they have not expressly ruled and finally and in last instance to the Spanish Civil Code. Early on in my career I heard of this ‘magic’ contract that was meant to be the universal panacea to all landlords’ griefs; behold the power of the eleven-month contract (roll drum)! This was a contract devised to supposedly deviously circumvent the LAU and its mandatory stipulations that (overly) protect tenants at the cost of landlords. Well I´m sorry to break it out but eleven-month contracts are just poppycock. They are regularly quashed in Spanish law courts every day. Anyone who signs such a tenancy agreement deluding themselves into thinking they can magically skip all the tenant rights I have meticulously laid above to pass off the contract as short-term let or as an arrendamiento de temporada instead of a long-term rental is in for a rough (and costly) ride. It doesn´t matter one iota what the parties to a rental contract want to label or call it. What ultimately matters to a judge, who wields the power, is the use that is given to a property. If the property is used by a family, the kids go to school on a daily basis, the wife and husband work, they have hired high-speed internet services and or cable tv you can call it an eleven-month contract all you want but the judge will rule the property is ultimately being used as a permanent abode and therefor merits the full protection of the LAU. In which case all the rights I have painstakingly collated in the first roman numeral above will apply i.e. mandatory three-year renewal at the sole choice of a tenant among many others. Spain is divided administratively into 17 regions. Since 2.013 many have passed their own laws on holiday lets which, by definition, are short-term rentals. Private holiday lets are ruled by these regional decrees and are expressly excluded from the LAU that I have described throughout this article. More on this can be gleaned from my in-depth article on the matter: Holiday Rental Laws in Spain. This article contains a full list, region-by-region, of all the holiday rental laws currently in force. Residential holiday lets and rural rentals are ruled by different regional laws. • Rural rentals are ruled by: Decree 20/2002: Andalusia’s Holiday Rural Rental Decree. • Residential property (private holiday rentals) are ruled by: Holiday Rental Laws in Andalusia (Decree 28/2016). Each region in Spain has similar laws in place. It is advisable landlords acquaint themselves with them as some regions are fairly restrictive (i.e. Balears) and require a licence to rent out and impose hefty fines on landlords for non-compliance. Following new regulation, if you rent out in Spain you will need to hand over to your tenant what is known as an Energy Performance Certificate (or EPC). This includes both short-term (i.e. holiday rentals) and long term lets. Non-compliance may result in a landlord paying fines to the Autonomous Community where the property is located. Just follow this link to my blog post which explains in detail what an EPC is and how to get one. You should hire a lawyer from the onset before you commit yourself signing on the dotted line of a tenancy agreement. All agreements should be put in writing and worded into the rental contract. Quite often these contracts are flawed or have clauses which are null and void as templates are frequently used which tend to perpetuate errors. Unfortunately, practice tells me that most clients only come to us after they have signed and have landed themselves in hot water. The legal fees they wanted to save themselves will now be threefold at least. Bottom line, for your own good, hire a competent lawyer from the outstart before you sign a tenancy agreement or any other legal document for that matter. You will save yourself money and aggravation on the long run. Le dedico este artículo a nuestra querida compañera del máster Andreea Tulin. La mejor de entre todos y mejor persona aún. Tus compañeros no te olvidamos. D.E.P. – Federico García Lorca. Romancero Gitano, Romance Sonámbulo. Child prodigy, exquisite Spanish poet, playwright, and theatre director. Outstanding member of the Generation of 27. Assassinated at a young age by Nationalist forces shortly before the outbreak of the Spanish Civil War. His body was never found; his legend grows on. Larraín Nesbitt Lawyers is a law firm specialized in conveyancing, taxation, inheritance, and litigation. You can contact us by e-mail at info@larrainnesbitt.com, by telephone on (+34) 952 19 22 88 or by completing our contact form. 2016 © Raymundo Larraín Nesbitt. All rights reserved. a great article – thanks very much !! You can contact me on your legal query using SPIs private messaging. great article, just one think not clear about. “Landlords are legally compelled to renew the rental for annual periods up to three years (before 2.013 it was five years). Tenants, at their own discretion, may opt on whether they choose to renew or not for a further year (up to a total of three years). Does that mean that after 12 months the tenant has to sign up to another 12 months and so on ? If after 15 months in the property I decide to leave, am I breaking the new annul agreement ? No it doesn’t mean that. Lanlords are forced to accept a tenant for a legal period of up to three years. Tenants however can opt out of the contract ahead of the three years, of course. So if you decide to opt out of a contract before, say, the 12 months are up and more than 6 months have elapsed since you signed it then you may opt out providing you give your landlord 30 days’ notice. You will also need to compensate him on the lost rental that is pending completion. In your particular case you mention you want to terminate the Tenancy agreement after 15 months. As more than 6 months have elapsed since you signed it, you may opt out. However, as more than 12 months have passed it is understood you have renewed the contract tacitly for a further 12 months. So if you wish to leave on month 15, then you may find you will have to compensate financially your landlord for the remaining 9 months you will not be renting but to which you tacitly agreed to. Some landlords waive this compensation, others do not. In any case a landlord is legally entitled to compensation so he can demand it. As per my article above, landlords must respect on long term rentals a mandatory renewal for a period up to three years (for urban renytal contracts post 2.013, it used to be five years). What this means is that a tenant can stay for three years in the property, at his own choice. If the landlord does not notify in time the tenant on the third year a tacit renewal operates and the tenant can stay a further year (totalling four years). So if a landlord notifies you before the third year of the rental is up that he no longer wishes you to stay in his property, you must vacate it or else face legal consequences (tenant eviction). There is nothing that can be done about it, sorry. Firstly thank you for such a straight forward sight I greatly appreciate being able to see practical, factual and legal information laid out so clearly. I just have a qualifying question to the information that you have detailed above, please. I am a property of two residential and one commercial property in Andalucia and will certainly return to your services should I need them in regard to my own property in the future. My questions immediately relate to the property that I am living in as a tenant. My rental contract started on March 8th 2014 initial for a period of 2 years – this contract expired and was renewed without a new contract being physically signed by my payment of the rent as due. b. Tacit renewal: if after three years of rental none of the parties notifies the other giving at least 30 days’ notice then the rental is renewed for a further year (totalling four years). a) As my contract started on March 8th and the end date would then be March 7th of the following year/s – would I be correct in calculating that the 30 days would be calculated back from the date the contract was due to end i.e. : March 7th and NOT the renewal date of March 8th? This point being fundamental as if it is calculated back from March 7th – then today being February 6th she has not given 30 days notice and therefore the contract is renewed? b) If however it is from the date that the new year would renew ie: March 8th so today February 6th would in fact be 30 days in advance, what form does that notice have to take for her to win a legal case to evict me. ie: Would a what’s app message stating simply – “to talk about the contract” hold any legal weight? c) To clarify – to legally to serve me notice that would stand up in court what form would that need to take, I am assuming at the very least an email clearly stating that notice is being served or a registered letter? If it is an email and I do not open does that constitute receipt of notice? d) Assuming that the period for my Landlady to serve notice legally has passed and the contract has automatically renewed under what terms is it renewed. Are those the same terms as before. I can only assume that if my landlady does not wish me to leave the house she wants to discuss a rental increase. My understanding is that as you state IPC is currently negative? e) If my landlady were to serve me two months notice that she wished to move into the property as her main residence again how long must she be in residence for? In other words could she move in for a matter of weeks and then rent to a 3rd party? I ask as a there is a waiting list for property now in my village and I am aware that my landlady has a friend who wishes to move here so her children can go to the excellent local school. So I am keen to understand how long she herself or her partner (they are not married but are parents to a child together) would need to be in residence before they could move out and re-let? f) My landlady neither used a property agent or a solicitor when we drew up and signed the original contract which was for a period of two years, this renewed last year without a further physical contract being drawn up, does this affect my rights as a tenant? i was advised at the time last year that it didn’t as I had a contract for the first two year and therefore under mandatory renewal the same rights were carried forward, however I was also advised at the time at the Mandatory renewal was for 5 years and reading your article I see clearly that has changed. g) While i did use a solicitor to check the contract I signed they did not advise me to pay the money to anyone but my Landlady and I also paid a two month deposit as is standard in this area (Benahavis, 29679, Malaga) does this affect my legal right to mandatory renewal for a further year? I apologise for the many clarifying questions unfortunately I do enjoy the same relationship with my landlady as my tenants and I do of communication and clarity. Given that I was under the false illusion that I had at least 2 more years mandatory tenancy in the house and can see that I have been incorrectly advised I am seeking clarity and legal, practical and factual information in order that I can be prepared for my meeting on Saturday. Please accept my sincere apologies Raymundo for incorrectly addressing my email as above. Apology accepted Maxine, but you are still blacklisted (read below). J/K. Mark runs and is the owner of SPI. Legal articles, such as the one above, are written by myself and not answered by Mark. I take it you want to address me, the solicitor who wrote the article, rather than Mark. I’m the guy with a serious face and a pink shirt which photographs are plastered all over the article and the replies section (see photo above). I also happen to sign the article. That said, we can now move on. The length of your queries exceed the format of a forum post and sincerely, in my opinion, you should be hiring a lawyer to address all your legal concerns as it is not the purpose of this site to provide legal advice in substition of paid for legal services. As the article specifies, a new amendment to Spain’s Tenancy Act came into force in 2.013 which brought about key changes. Amongst them is the mandatory renewal terms for a tenant. As your tenancy contract is from 2.014 you no longer have 5 years plus one, you have three years plus one. A whattsapp message is not acceptable and courts normally ignore them because they can be easily manipulated. The correct form is to send you a registered letter which you have to sign for advising your rental is up and will not be renewed. The 30 days are calculated from the date the contract was due to end. Yes, it is renewed in exactly the same terms. IPC benchmark was negative at the time of writing, not now. I believe it now at 3% for the 1st Q 2017 (mostly due to the huge increase in electrical bills). She cannot relet. If she moves in for her own personal use it is precisely for that. If she’s caught reletting it to someone else she can be taken to court and she must pay for all your moving expenses and of course you are entitled to move back in. No, it doesn´t affect your rights. That’s the whole purpose of mandatory renewals. Yes, as I have written previously, Spain’s Tenancy Act was amended in June 2.013. Any urban tenancy agreement that was signed on or after the 5th June 2013 has a mandatory renewal date of three years plus one, solely at a tenant’s choice, not the landlord’s. I’m glad you used a solicitor, we don´t bite (unless you get our first name wrong of course – in which case you get blacklisted). No, it doesn’t affect your statutory rights. I trust Maxine I have addressed your queries before your meeting next Saturday. Again, I stress you should hire a lawyer and ask these questions formally in lieu of seeking advice using forum posts on such important matters. Yes, I guess you were ill-advised on the mandatroy renewal date, unless I have missed something out from your detailed account. I came across this article while doing some research. I am currently in the just coming to the end of the 4th year of my 5 year contract in my flat in Barcelona. My landlady has informed me she wants the flat back in 2 months for one her elderly relatives. She has offered to pay me the equivalent of 5 months rent by way of compensation on top of the fianza. I am inclined to believe her story as otherwise she could just sell. Is this legal? and also is that a fair amount if I do agree? I know I do not have to leave if I do not want to, as I have a valid contract, but am open to the idea, because of the compensation. Sounds like a good deal, I’d take it. As explained in my article above, landlords can request to have the property before the mandatory renewal is up for a number of reasons (in your case I take it it is five years plus one). One of these is to use the property for relatives. So yes, your landlady is indeed entitled to take the property back in this case. A five month compensations sounds good to me. Make sure you get it in writing and cash in before you move out though. Once you leave the property you lose your leverage to drive a bargain. I also hope that you will accept wholeheartedly my genuine and heartfelt apology for your humour and factual information. I feel informed and confident for my meeting Saturday to negotiate I hope a fair agreement for both my landlady and I. Given that we both live in the same village, how incredible is that??? I would very much like to arrange an appointment with you I have some small legal matters that I would appreciate advice as clear, constructive and legally factual as that you have contained here. It is rare in today’s world to find someone so honourable and giving of their time. I confess that this is the first time that I have ever used a forum and only did so from the content of your articles and the detailed, factual responses given and that you are a solicitor. This is an excellent service you have provided and I hope that it is beneficial to you and many more people. ps: I respect that self-repetition and being pedantic it clarifies and confirms my understanding quite perfectly! I wasn´t going to let you off the hook so easily, you know. At least not without poking some fun your way! You have taken it very gracefully I must say. I don´t live in the village itself (I only go there to eat at Los Abanicos from time to time). I live in one of the condominiums that sprawl the municipality. Sure, just PM me and we can arrange getting together for business. Thank you for your kind words, much appreciated. Well the fun way graciously done and well deserved so any other response would have been well……ungracious lol. PS: Phew – that will make our appointment much less awkward! great structure and explanations of the whole renting environment and regulations in Spain! Much used and appreciated! Our contract is for 1 year, is it credible if the landlord’s lawyer tells us the owner is willing to cancel the contract by giving up the 6 months compensation? Does it mean we still have to pay her 5 months to cover the minimum mandatory 6 months period – we are only in the 1st month of rent…great start, right :(( ? Thank you in advance for your clarifications! The two reasons you quote do not suffice to terminate a rental agreement ahead of the pre-agreed expiry date. So if you wish to opt out of your tenancy agreement one month on you will be forced to compensate the landlord for his rental loss. I remind you he already has your one-month deposit. I´m sorry this is not the answer you were looking for Andreea, but on the bright side your (bad) experience has taught you to check a property thoroughly before signing and moving in. Brilliant article thank you – after researching for a long time I am glad I came across this informative but easy to understand article! I have a quick question if that is ok? After the 3years of tenancy, as the landlord, we allow it to roll on for another year (4 years in total). What happens then? Can you continue to roll the contract year by year without it being a detriment to the rights of the landlord? There is nothing legally stopping you, as a landlord, from renewing the contract on an annual basis if you wish. Quite the opposite, you now have the upper hand as you can terminate the contract at any moment in time (giving notice). You are no longer constrained by mandatory renewal periods of three years (plus one). The law, as I care to pint out in the article’s introduction, was written to protect more the rights of long term tenants (think of families with young children) rather than landlords’. Which is why landlords find themselves ‘locked up’ by a tenancy agreement upon signing it as they cannot opt out of the contract because of the mandatorty renewal dates (three years plus one) for all urban rentals signed as from June 2013 onwards. Once the 4 years have elapsed, the landlord is free to terminate the contract giving his tenant 30 day’s notice or else simply renew it annually if it is convenient to them. As a landlord, I would be concerned with updating the Tenancy Agreement so the rental falls in line with today’s rentals. As long as the contract you originally signed with the tenant has a clause that updates the rental on a yearly basis in line with inflation you are good. Hi, thank for the well explained details on the long term contract. I understand it fully but have a question. Our 3 years is up, the house has been on the market for a long time and we have allowed viewings. The owners agent has told us that he does not wish to continue renting it and did so 2 months before, leading us to believe he has sold it. However, we gather he hasn’t actually sold it as yet and whilst we are happy to ‘move on’ we cannot find anything suitable for our needs at this time. We have asked whether we can stay until we do find something and he is coming back to us on this. What are our rights if we really cannot find anything suitable to move into? The three years mandatory rental are up and you have been given a two-month´s notice to leave. The landlord is in his right to recover the property’s possession. You must leave or else face a legal procedure against you. Should the landlord decide you are allowed to stay it would imply renewing for a further year, something which is unlikely he will accept if he wants his property back. You cannot simply stay in the property for a few months more with your existing contract as it creates the landlord legal issues. The existing contract would have to be terminated and a new short-term contract would have to be drawn up with higher rental fees as it is no longer a long term rental. I have an apartment in Barcelona which is rented to someone. The contract was signed in 2015 for a five year term. Now I want to move back, in other word I want to live in my own apartment, because now I am living in a rented apartment. However, the tenant refused. His reason is that the contract is a 5-year one and no renewal. But some lawyers said I could move back. I do not know who is right. Could anyone give me a definite answer based on the law, because I want to make a courtclaim if i have the definite law to support me. Regarding your query, the amendments made to Spain’s Urban Rental law in 2013 allow a landlord to move back into his property under a limited number of reasons despite there being a signed long term rental agreement. So in a nutshell, yes, the lawyers you have spoken to are right. I happen to give a few examples in my article above when I mention exceptions to mandatory letting renewals. I could really do with your advice. I started renting a flat in Spain in April 2015 with a 6 year contract (until October 2015). However, in October 2015 my landlord didn’t write me a new contract, I just continued using that one. Now 2 years have passed, he wants to increase my rent by EUR 100 per month. People have told me that although it was only a 6 month contract, neither him or myself cancelled it which means it automatically extends for 3 years (“se prorroga hasta 3 años más”. Only after 3 years (April 2018) will he be able to increase the rent. Please can you confirm if this is true. Sorry I was supposed to say 6 MONTH contract, not 6 years!! Fortunately for you, I had already grabbed my morning coffee so managed to understand your query first time round! True. You already replied to your own query; you are going to put me out of business! You have been advised correctly. Because neither of you notified the other party of the rental termination it is overunderstood you have renewed it mandatorily for a three-year period (by law, see article above). So you may remain in that property for the next three years (till April 2018). As for updating the rental, following art 18 of Spain’s Urban Tenancy Act, if nothing was agreed at the time of signing then the rent is NOT updated on an annual basis (until the three years are up). So basically the landlord is stuck with you for three years without being able to update the rent (legally) every year. Had the landlord hired a lawyer he would have ensured this did not happen. Had your landlord followed the advice I gave in my conclusion above he would have avoided this problem: “You should hire a lawyer from the onset before you commit yourself signing on the dotted line of a tenancy agreement.” That advice goes both for landlords and tenants. Hello! What a great article, thank you. I only wish I’d read it 18 months ago! I’m interested in your note “By law the deposit is one-month´s rental and paid in cash. The parties are NOT free to negotiate a higher deposit. Demanding a two-month deposit, for example, is null and void.” I paid 3 months deposit, 18 months ago. The agency told me that this was normal for self-employed foreigners, like me. But now I wonder if I can ask for 2 months of that to be returned to me? As I write in my article´s conclusion: “You should hire a lawyer from the onset before you commit yourself signing on the dotted line of a tenancy agreement.” That advice goes both for landlords and tenants. Had you hired a lawyer from the outset to revise the contract for you (200 euros plus VAT), you would have saved yourself paying an extra 2 months rental deposit. The one-month rental deposit is mandatory nationwide; there are no exceptions. It applies to both nationals and non-residents alike. So I´m afraid they have pulled a fast one on you, which is fairly common when you sign contracts in Spain and are not represented by a lawyer. You can ask for a return of the 2-month deposit but in all likelihood they will turn you down. When you finish your rental you can ask for a refund of the three months (less all the damages and cleaning of the property). So it is unlikely you will get back the full amount you have paid already. You do have a receipt for the three month’s deposit, yes? Hopefully the real estate agency will still be trading by the time you finish your rental. This is an excellent forum and I wish I had found it earlier. I would appeciate it if you could give give me a piece of advice regarding an issue that came up with the appartment that I have just rented. I moved recently to Barcelona and since it was urgent to find an appartment, I had no other option but going to an agency office. So, I managed to book an appartment and my first day there was last Saturday. Yesterday my fiancee was locked inside the flat since the door was locked and the key was stuck in the lock. I called a locksmith in order to fix the problem. At first, he could not open the door and finally he was forced to break the lock. He mentioned that the lock was vey old and problematic and he had to change the whole mechanism and as a result the price was extremely high, around 600 euros. Since the price was really high, I went today to the agency in order to see if they could refund me the money. I have to mention that I had with me both the receipt and the problematic component as well as the phone of the locksmith that fixed the lock who was offered to tell to the agency that the damage was not caused by me. Unfortumately, the person in charge at the agncy was very rude and he told me that he can not do anything because I should have called them before in order to hire a locksmith that they co-operate. He also claimed that he had mentioned this term when I signed the contract. I do not remember this since my Spanish is not very good but when I asked him if this term is in the contract he said that it was an oral agreement. After a lot of negotiations, he said that he will contact with a locksmith that they co-operate in order to evaluate the damage because he said that the price is extremely high and then they might refund a percentage of the price depending on this evaluation. Since I am not very optimistic that the decision of the agency will be good for me, do you believe that I have the right to take my money back since I can prove that I was not responsible for the damage? I would also have to say that when I asked the agency to contact the owners, they said that they (the agency) are responsible for such issues and that we shall live the owners outside from this. 600 euros seems far too expensive. I would have expected 10% of that fee for such a job. It is doubtful you are entitled to recover your money. Before leasing a property you should run a checklist: kitchen appliances, faucets, locks, electricity, swimming pool etc. Check that everything is in good working order before you sign the tenancy agreement. The landlord can argue you broke the old lock yourself on forcing it. Many tenants make the mistake of complaining on something being broken AFTER they moved in when the fact is they have to check everything works BEFORE moving into the property, by law, and then sign a tenancy agreement if they are satisfied. Perhaps as a token of good will, you could negotiate they pay half of the bill. But again, 600 euros is way too expensive to my mind. In any case I’m afraid your legal position is weak, sorry to say. I apologise if this has already posted. I did so on my phone and it does not seem to be there. Thank you in advance for any advice. I took on a one year rental and gave notice after a few months as they had failed to tell me of barking dogs and building works. I came back from a week away and people were in the garden building a wall etc. in the end I decided to stick it out and gave notice to leave after the 12 months. The date was June 26 ( Monday) and I asked that the deposit be returned then as leaving Spain. I have paid rent before due date each month and all bills up to date. I returned from a trip to Australia yesterday and the removals van came today and when the realtor asked to show the house in the evening I said yes, but it would be a mess, and left her to it. She did not tell me the owners were there and she said she would need to talk to me about ‘fatal damages’ after being in the house for an hour and obviously going through all my things. She had told me she would need five minutes. An hour later I messaged her to say that after a 30 hour flight and removals all day we needed to sleep, and had she finished. She messaged to say I needed to come in and talk to the owners – who I did not know were entering the property – and accused me of stealing a television, and breaking things, and said there were hairs on my bed so the dogs had been in there. They knew I had dogs and I’ve never heard of a deposit not returned as hairs on mattress protector. She said there were dog scratches on steps- my dogs never went downstairs. I went in and the owners, I think, admitted to her there wasn’t a television. I told her I could not have damaged a music sound system (they left there) as I never used the basement. There was thick dust on the equipment. The things she said I had stolen I showed her, boxed up (they had left a lot of stuff) She also saw a towel in the washing machine that they left and had said I used it for the dogs. The mother of the house – who I gave the rent to each month in cash- had said I could have them. About 5 old towels. It was bizarre that she was accusing me of ruining towels the mother gave me. I do not speak Spanish but she ended up saying the owners mainly just wanted it cleaned. I said that of course it as being cleaned- the removals company had only left a few hours before. But SHE was the one who seemed to be pushing for the deposit not to be returned. She also questioned me about the washing machine being slightly pushed forward and said everything usually aligned. I suggested it might have been when the stove was removed and she told me it had not been removed. The owner admitted it had, and this as probably why. My cleaner comes tomorrow but I do not know what to do if she ‘finds’ something else – and the owners will not be there. She is likely to say the deposit will not be returned. She even said I would have to pay more when claiming I had damaged the house ! The owners speak no English, and I speak little Spanish. What can I do to get back my deposit? And who gives it back to me? I paid electricity and water bills June 13 and 19th and have been away, so unlikely to be more than 40 euro to pay. What can I do on Monday when she comes to see the house and get the keys? I feel so angry at paying for a big clean when he is likely to not even give the deposit back. Query addressed via SPIs PM facility. I am a retired uk lawyer. We are in the process of renting a flat for a long term. We told the agent that we have years of experience in hosting for short periods guests who are travelling. After paying the deposit the agent said she did not mention to the owner our desire to take guests and inferred it was not necessary. Taking in guests from time to time is not sub-leasing. We have to sign the contract on 15/8 but it does not refer to our taking the occasional guest. Do we need the landlords consent? Thank you for you attention. Our understanding of the concept of a guest may differ. We should start by defining what you understand by the term ‘guest’. If by guest, you mean no money is exchanged and they are simply family or friends, nothing needs to be mentioned. It is fine. If by guests, you actually mean short-term lodgers, renting out the whole property or spare rooms as a holiday home through airbnb and such, it is subletting and the landlord must expressly approve it. Normally long-term tenancy agreements expressly forbid subletting propertings (whether in whole or part). I follow on from everyone else – I wish I had found this forum sooner! I have shared it out to friends and colleagues entering the rental market so hopefully they won’t be caught out too. Hoping you could give advice on my current problem. I have just changed apartments and my previous landlord has returned the 1 month deposit but is refusing to return the ‘additional guarantee’ paid (equivalent to another month’s rent of €700). We are out of contract, deciding to move as our landlord proposed a €50 increase in rent and that bills would no longer be included. In good faith, we paid the extra €50 in rent for the past 2 months while we looked for a new apartment & our landlord looked for a new tenant. The reason for withholding the money seems to be due to telephone usage. Our landlord complained to us 2 months ago that we owe money for excessive telephone usage. There is nothing in our contract specifying inclusion of telephone usage, only internet. So, as we share a phone line with the landlord’s business, we have gone through 2 years of itemised statements to calculate our usage costs. We agreed to pay a full month’s final rent (rather than pro-rata for partial month) to cover the call costs. Now our landlord is backing out of our, unfortunately, verbal agreement about call costs. We have already handed the keys back and are not sure what we can do next. Any advice you have would be greatly appreciated. Unfortunately, as you write, this was just a verbal agreement which is difficult to prove. Which is why in the article’s conclusion I advise putting everything in writing in a tenancy agreement. There is nothing I can advise you, sorry. This article was so helpful to me! But, like so many others have said, I wish I had spent some time researching and mostly reading this before I signed my lease. I’m on a six-month lease in Catalonia. I “agreed” to a two-month deposit as it was the only way to get the owner to go for a six-month lease. The estate agent and I put a clause in the lease and also signed on both copies on the back about the return of two months deposit and the amount paid. Though I’m hearing nothing but horror stories about getting my security deposit back at the end of January, I am trusting in the signed copies, the paragraph in the lease that states it will be returned, and I took a crazy amount of photographs (camera-dated) in the presence of a witness and the estate agent, of every single tiny flaw, dirt, etc., in the flat and sent them to the agent, telling her to forward on to the owner. I speak Italian fluently, plus was in law for 20 years, so I was able to get the gist of the contract, plus everything she said on the phone to him (including that I was taking photographs). SO..,.my question is this: You wrote that I’m responsible for “expenses subject of an individualised consumption meter reading”. On the electric bill, there are two lines with amounts. One is importo potencia contratada, and the other is importo consummata. — I’m of course fine with paying what I owe in electricity, but am I to pay the potencia contratada? On the first electric bill (that went for 56 days but I had only been there 22 at the time), the potencia contratada stated “56 days”. Something he has to pay even with no renter? This isn’t really a question so much as a “uh oh” (and possibly google translate issue as she used google translate). She just wrote “You rent the apartment temporarily, not even for 1 year, and even if the rent was raised, which will lose money to the owner as long as you do not rent the flat when you leave.” I have asked her straight out if she is trying to tell me he can raise the rent, and stated that this is not in the contract because I never would have signed it, if so. I’m under no obligation to find him a tenant, am I? Rental deposits are very hard to get refunded in my experience if done without a lawyer. Normally a tenant is responsible for the utilities consumption from the moment the contracts starts (when they take possession of the property by being given the keys). Don’t overthink this. Keep practising your Spanish, you are doing good! Thanks 🙂 It’s not seasonal — he rents it long-term also. I was having problems finding a rental and I was hoping to get into a six-month because this city doesn’t feel to me a place I wish to stay in. So the estate agent called a place and asked if he’d be willing to do a six-month (because the flat had been unrented for four months). He said yes, but only if I agreed to a two-month (refundable) deposit and willing to allow people to look at the flat one to two months before I leave. I’m fine with consumption costs, it’s just that other charge that gets me. And now I’m worried about the deposit. I’ve never had a deposit not refunded to me, because I’ve never damaged an apartment. Sesonal contracts have a misleading name. They can be short or long term. A seasonal contract can be for days, weeks, months or years. What makes them different to what I describe in my above article is if they are destined as a permanent abode which does not seem to be your case. So a two-month deposit applies for seasonal contracts. You are only liable for consumption costs from date X to date Y pro rata. Check the wording in your tenancy contract to make sure. More than 4 years ago we rented a house on a 11 month contract and paid a one month deposit. Before the contract came to an end we negotiated an extra 3 year extension but the landlord demanded we pay 2 extra months deposit, 3 months in total. At the end of the 4 years the landlord told us by registered mail he would not extent the rental contract. We contacted a lawyer and she wrote/faxed the landlord a letter telling him that by law the first rental contract actually prevailed and that therefore this was in fact a 5 year contract since it was signed before June 2013. We never got a reply from the landlord and are still living in the house till the end of March 2018 when the 5 year contract ends. My question is, can we just deduct the 2 extra months deposit we paid too much from the rent? We are told that the landlord will most likely return the deposit. My second question is that the same landlord has never paid the community fees which are included in our rent. Therefore we do not receive community services like the gardening which we have to do ourselves for the last 4,5 years. We asked the landlord numerous times but he does not respond. Can we reclaim the community fees we paid from the landlord? Any legal queries please email them to our law firm (legal fees may apply).